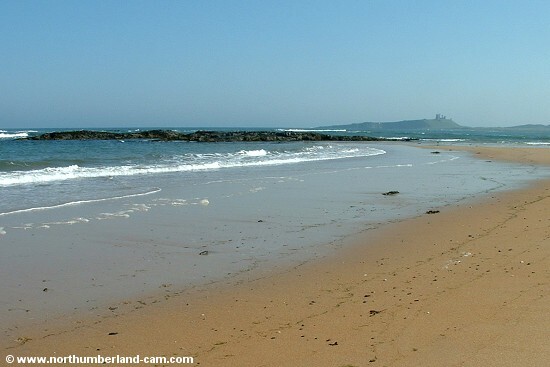 Embleton Bay is another of Northumberland's fine beaches that is dominated by one of it's famous castles. Dunstanburgh Castle stands on cliffs at the south end of the bay and is visible from everywhere. It is probably one of the most photographed of all castles at sunrise. 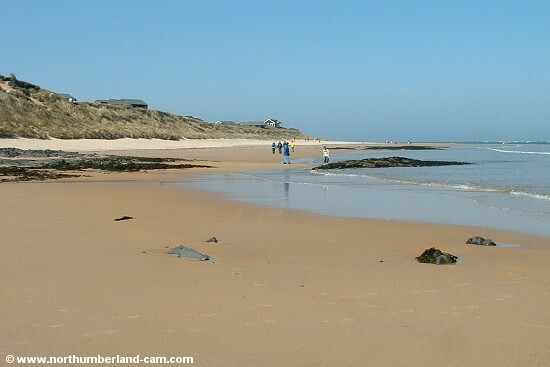 The beach itself is fine and sandy with rock pools at low tide and is very popular with walkers and families who reach it from Embleton Village or Low Newton. Rock pools at the north end of Embleton Bay. 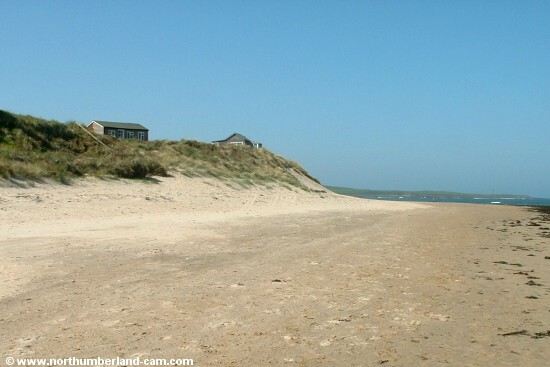 Holiday homes on the dunes at the north end of Embleton Bay. 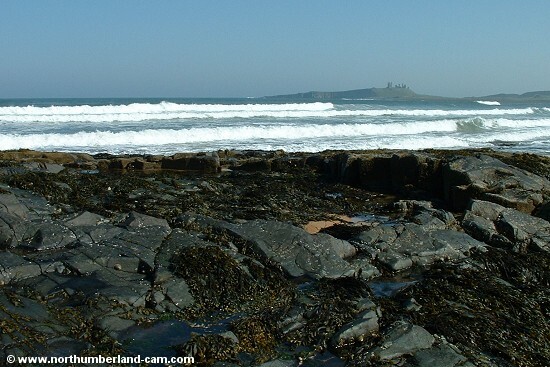 View south along the beach to Dunstanburgh Castle. 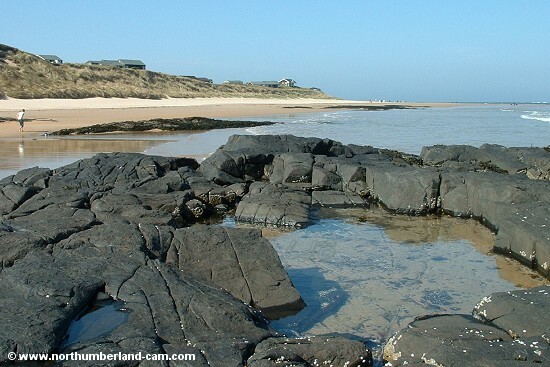 View north along the beach at Embleton Bay. View across the bay to Dunstanburgh Castle.